Don’t Miss the WA Artisan Cheesemakers Festival! Veena Prasad is a cultivator of potential. She adeptly identifies hidden skills and sees how they overlap with market needs, which led her to start Project Feast. Incorporated in January 2013, the organization has a mission to help immigrant and refugee cooks find sustainable employment in the food industry. They are off to an impressive start, with more than 150 people who have attended one of their cooking classes, more than 3500 guests who have eaten their food at catered events, and 20 people who have gone through their 6-week training program. And all of this was done with less than $5,000 investment! They recently participated in the Health Enterprise Development Initiative (HEDI) and this is the last post in the interview series with HEDI participants. Tell me about Project Feast. Project Feast is a nonprofit social enterprise with a mission to empower refugee and immigrants through commercial kitchen training and opportunities for hands on experience. We work with cooks from countries including Iraq, Eritrea, Democratic Republic of Congo, and Mexico to create economic opportunity and social empowerment. 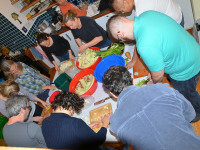 We also provide a platform for cross-cultural interactions through our catering business and cooking classes. What difference are you trying to make in the food system? Food is our medium to bring people together. We are increasing access to various global cuisines and presenting them in a way that is accessible, allowing eaters to learn more about other cultures, meet people from these countries and begin to understand and learn about what is happening in their countries. We are also training immigrant and refugee cooks to find sustainable employment in the food industry. What goals do you have for the project? We are going to continue to offer our 6-week training a few times a year with the goal of bringing on 5-10 apprentices after they complete the training. They will be offered paid work to continue to work in the business and hone their skills in the commercial kitchen. They will also be exposed to other aspects of running a food business. We also want to increase the way we consciously spread the cultures that our graduates represent, increasing the larger Seattle community’s understanding of what is happening in other areas of the world. If someone is having Burmese food for the first time, we want them to not only enjoy the food but ask why they haven’t had it before and what is happening in that country that we have refugees. We also have the audacious goal of being 100% self sustaining through our catering and cooking classes within 5 years. We have some ideas on how to make this happen, but it is still an open question as to how we can do so in a way that ensures we are keeping true to our mission. How has HEDI helped you refine your business model? HEDI forced us to think through what we’ve done so far and where we want to go. Luni’s business model format helped us to determine what we had in place and what was missing in order to get us where we want to be. We are now more confident that we can ultimately get to 100% financial sustainability, but realize we have some work to do in developing our revenue generation models. It was also helpful to put together an investor pitch and get feedback from my cohort and potential investors. I plan to use the pitch to get funding in the future. What advice do you have for other nonprofit social enterprises? Nonprofits could get more comfortable with business being a core aspect of what they do and learn how to earn revenue, not just grants. There is a perception that nonprofits shouldn’t earn money but it is possible to maintain the connection between earned revenue and the change you want to create in the world. It isn’t always easy to come up with that model, but focusing on your mission is a great place to start. For us, catering is how we make money, but it is also how people get hands on experience and exposure to running a business, all important pieces of our mission. 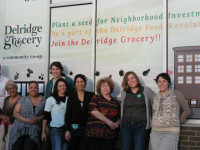 Since 2009 a group of committed residents in the West Seattle neighborhood of Delridge has been exploring ways to bring healthier food options to their neighborhood. They’ve tried on various models, starting with a mobile market that gave away produce and now focusing on a member owned full line grocery cooperative that is co-located in Delridge Supportive Housing. They are in the midst of an intensive membership campaign, which was recently informed by their participation in the Health Enterprise Development Initiative. Tell me about Delridge Grocery Co-op. Concerned about the absence of grocery stores and produce markets in our community, a group of Community members created a mission to bring sustainably-grown, pesticide-free produce at affordable prices to the Delridge corridor of West Seattle. As a co-op, we invited input from future members and learned that there was a desire for a full-service neighborhood healthy foods grocery store. We have created a partnership with Downtown Emergency Service Center and plan to open a 1500 square foot fgrocery co-op in the spring/summer of 2015. Currently, we are in the startup phase of signing up new member/owners, asking for member loans, and pursuing additional loan and grant options. Reasonable and affordable access to food staples is a real concern in the eastern half of West Seattle . 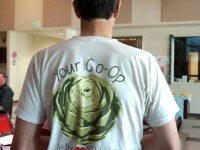 We are inspired by successful food co-ops of the past and present and intrigued by the way the co-op model can adapt to the future and the unique needs of the community it serves. We are well on our way towards opening the region’s first multi-stakeholder food co-op. This means the store is owned by the consumers, food producers, farmers, and store workers. In this way, we can combine the energies and talents of all sectors of the food system to promote education and shared knowledge of the issues surrounding our food. The Delridge Grocery will nurture the community it is a part of by offering a store full of healthy food at affordable prices. Our current goal is to open a store in the heart of the North Delridge neighborhood. We are negotiating with our future landlords and intend to open in 2015. Based on our projected store size, we need a significant number of members to pay towards their voting share. As an outreach tool, as well as a way to bring local produce to the community now, we are excited to be operating a small summer produce stand near our future location in mid-July through mid-September. Participation in the HEDI class has helped us at a crucial turning point. As our member campaign was moving along slower than we had expected, we had to delay our plans for a summer 2014 opening. The instructors encouraged us in and out of class to think of alternative models at this stage. The summer produce stand option became our next step. We also appreciated the constructive advice from our HEDI instructors, mentors, and fellow classmates in developing our investor pitch. The homework led our board to develop more focus more on how we are communicating to our current and future members, as well as potential outside investors. What advice do you have for other food businesses? Be open to change and always look for ways to reevaluate and take on different perspectives. And don’t forget to seek out mentors! Kristy Brown has worked in noteworthy restaurants around Seattle but what she is most known for these days is her black bean hummus. Is it that good? Yes, it is that good! Her business, That Brown Girl Cooks, is rapidly growing from an underground hit to a popular dip that shouldn’t be missed. Tell me about That Brown Girl Cooks. We call ourselves a foodie lifestyle company. Though our main focus is hummus, we also do cooking classes, pop up events, and an annual fish fry. Our hummus is in eleven stores and five farmer’s market. Our hummus is a creative twist on chickpea hummus. We use black eyed peas and our unique blend of spices. I wanted to find a way to incorporate the soul food I grew up with into healthy, unique vegetarian options. We served the hummus for years as part of our catering business and people continued to ask for it, so we knew we had to bring it back. We care about the food you put into your body and send out nourishing wishes when we prepare it. Good food means healthy food – food that is grown, packaged and prepared in a way you can feel good about. Prior to starting this business I didn’t understand the value of eating close to home and the ability to connect with the people who grow and produce your food. Interacting with the public is really important to us. We want to know what people think of the product and how they use it. We’ve given over 5,000 tastings at farmer’s markets so far this year! I love hearing people’s recipe ideas or just knowing that their babies love it. What goals do you have for the business? We are in a crucial growth phase of the business. We would like to get into some of the larger grocery chains and begin to expand our footprint. It can be a challenge to know what that means and how to put all the pieces in place. And it is a lot of work. I’m really excited to push the business to see how far it can go. We aim to change the world one bite at a time. I’m currently in a crucial growth phase and Luni has helped talk me through what that means and how to plan for i t. Working with him was really an honor. The classes really helped me understand my place in the food chain. Beyond that, what I value the most from the experience is the relationships I’ve been able to develop with the other business owners. The cohort model helped us build relationships that I continue to rely on when I need help. You’ll never know it all and that’s okay! Focus on what you do well and become an expert in that. For everything else, get as much help as you can. Developing my support network has been critical to my business. Hadar Iron makes ceramic fermenting jars for the home fermenter under her business Hadar Iron LLC. With the popular interest in DIY and a growing body of science about the importance of fermented foods for our health, Hadar Iron is both a timely and timeless business. Having recently completed the Health Enterprise Development Initiative training, Hadar is poised to respond to the increasing demand she is seeing for her unique crocks. Tell me about Hadar Iron LLC. Hadar Iron is a pottery and ceramic arts studio located in the Columbia City neighborhood of Seattle. I established the studio in 2012, offering functional pottery and ceramic art installations. I’m now enhancing my existing studio by launching In Ferment, a line of home ceramic fermenting jars, mainly crocks, which are used for making fermented foods, and teaching fermenting workshops. I’ve worked in ceramics for 25 years and presently teach at the Seward Park Clay Studio. In Ferment has sold around 10-15 crocks per month for a year, out of which 3-5 shipped nationwide destinations. We sell 1-gallon size for $160 each, at the fermentation teaching workshops that I lead, online and personally from the studio. The mission of In Ferment is to make the process and benefits of fermenting widely available by supplying affordable, yet high quality, fermenting equipment and helping people learn about the home fermenting practice. Upon increasing demand In Ferment is expanding the studio and its equipment to scale up its capacity of production. We seek production and sale of 40 crocks per month within a year, while doubling it within 3 years, in addition to developing other fermenting dishes and containers as part of the home fermenting experience such as containers for yogurt, kefir, and sourdough baking. We want to make daily consumption of fermented foods accessible. 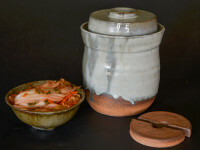 Our water-seal ceramic crocks are easy to operate with endless variations of fermented vegetables. The crocks have a trough at the rim, in which the lid rests in water to form a seal that prevents air infiltration while allowing gases to escape, eliminating mold and pungent smells during the process. We are also proud to be reviving the awareness of health, experiment and adventure in one space. The symbiosis between art and food has a long tradition, which can easily be forgotten in our “instant gratification” culture. We use clay, ash glazes and firings of high temperature in the manufacture. Either thrown or cast, they are glazed individually and fired through traditional ceramic procedure that produces high quality with a unique visual of the ceramic art culture. Along with advocating and teaching about the health benefits of fermentation and its delicious variety of tastes, In Ferment brings the presence of art into the kitchen and the sense of quality food with attention to its sources and origin. The HEDI studies have sharpened the tools to advance my business from a small operation to a bigger system, mainly by working on planning methods for the near and far future (1 to 5 years). The program has enhanced the transition from our ideas that have proved to work and create demand, into a sustainable profitable business. In particular, we’ve learned how to analyze the opportunity size of our product and develop specific approaches to each sale channel. Additionally, it gave us the sense of scale and a projection of growth, locally, regionally and across the nation. In Ferment was shaped by both Mike Skinner’s “Effectuation” class and Luni Libes’s detailed Fledge program. Luni focused on the concept of “iteration,” which helped us move to action through testing and learning from evaluating the feedback. As a result, we are continuously making small changes and pursuing improvement. This dynamic, either in the marketing field or in seeking finance, generates enthusiasm and positive energy in the process of dealing with hurdles and expanding horizons. Though the popularity of farmer’s markets is growing, they still have a reputation of being too expensive for people with limited budgets. In fact, of all Supplemental Nutrition Assistance Program (SNAP) spending in Washington, only .02% is spent at farmer’s markets. 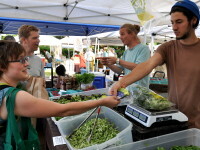 Brian Estes of Fresh Bucks aims to change that through a unique program that incentivizes shopping at the market while building our rural economies. Tell me about Fresh Bucks. Fresh Bucks is a service offered through farmers markets to benefit low-income customers and the farmers selling at market. By offering additional ‘Fresh Bucks’ (vouchers for buying fresh produce) for customers shopping with Supplemental Nutrition Assistance Program (SNAP) benefits (formerly food stamps), Farmers Markets are able to attract new customers, increase the amount of shopping done by customers each market visit, and encourage more regular patronage by SNAP clients. We are working to increase the accessibility to healthy food for low-income households while helping farmers markets capture an increasing percentage of individuals shopping for food in their area. Fresh Bucks help build the local farm economy while creating equity in food access. We want to increase the number of markets offering Fresh Bucks, and increase the degree to which SNAP clients are utilizing those markets. Our goal is to increase the regular intake of healthy foods while capturing more food dollars for our regional farm economy. We’d like to optimize the format, implementation, promotion and assessment of the program, working towards a model that can be employed statewide. HEDI has helped us identify new strategies and frameworks for how we optimize our operation. It has helped us think outside of the box on efficiently pursuing outcomes, looking at revenue, and considering the challenges and opportunities with regard to long-term sustainability. What advice do you have for similar programs? Think outside the box, be willing to pivot, ask hard questions and be willing to keep your eye on your long-term outcomes and goals. 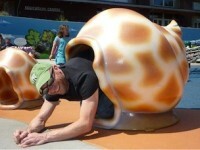 Ric Brewer has an unusual passion: snails. And what do you do with such a passion? Start a snail ranch, of course. Ric started Little Gray Farm in 2012. He has been participating in the Health Enterprise Development Initiative (HEDI) and recently took time out of his busy snail ranching schedule to tell us about his business and the impact of participating in HEDI. Tell me about Little Gray Farm. LGF is, to my knowledge, the only commercial escargot cultivator in the U.S. We are based on five acres in Quilcene, WA, which is on the Olympic Peninsula. Nearly all the escargots currently consumed in this country are canned and from overseas. We have the ability to grow our own, so in a sense it’s a food security issue. Ironically enough, I bought the property before I actually planned on raising snails and then discovered it is on nearly the same latitude as the Burgundy region of France, the prime growing area for escargot, so it seemed only fitting that I pursue this. Snails are gaining popularity worldwide. In France, they cannot keep up with the demand and are now importing 60% of the snails it uses! Seattle is a hub for creativity and innovation so it’s the perfect place to launch a domestic snail ranching industry. 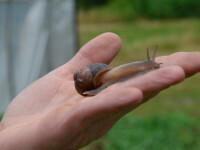 Although there are other people on very small scales selling wild snails in the U.S., I am trying to attempt two things: make a sustainable business that actually grows the snails in a controlled, permaculture based environment so that the life cycle is controlled from egg to adult, and also propagate heliciculture (the cultivation of snails) as a viable industry in this country. I also want to “democratize” snails; they are an underutilized animal protein that is actually very healthy, when not drenched in butter. Plus they are a very versatile ingredient and can be used in a myriad of menus. A few years ago I put together a recipe book, or general guide, on how to incorporate this easy protein into your diet. I’d love to work with a local chef to develop some unique recipes we can promote together. Some of my favorite ways to eat snails are on pizza on in ravioli with parmesan. They’re delicious! In the short term, we are looking to buy a commercial, chamber-style vacuum sealer machine to ensure we have a fresh, safely packaged product. People can contribute through May 31st on Indigegogo and sign up for fun rewards like a snail in a sweater. I’m not a numbers guy, so when it became time to create a spreadsheet, I looked on it with dread. But when it was explained that a spreadsheet is basically telling a story of your business, it made much more sense. After all, we WANT people to know the story of our business! Even though it’s still not my favorite activity, each iteration of my spreadsheet gets a bit easier. What advice do you have for other farmers and food businesses? Expect creating your business to be hard, very hard. There will be times that you want to throw in the towel. There will be times you’re wondering if you’re crazy for doing it. But if you really feel it is your passion, your destiny, then you must do it. Regret is the only thing that lasts forever. 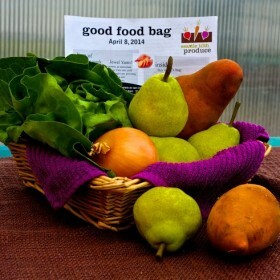 Good Food Bag is a program of Seattle Tilth, an environmental nonprofit celebrating its 36th year of inspiring and educating people to safeguard our natural resources while building an equitable and sustainable local food system. Jess Bitting, the Good Food Bag Coordinator, has been participating in the Health Enterprise Development Initiative (HEDI) and recently sat down with Slow Money NW to discuss her experience with the program. Tell me about your program. The Good Food Bag program is run out of Seattle Tilth’s Rainier Beach Urban Farm and Wetlands, which is the largest urban farm in Seattle. It provides a weekly distribution of bags of fresh produce, taken to community hubs where people are already gathering. We target the neighbors of the farm, many of whom are low income and have limited access to healthy food. The program has been running for over a year and we’ve distributed 2,000 Good Food Bags to 200 families, totaling over 5,000 pounds of nutrient dense produce. We want to focus on a way to not just provide access to healthy food but to also save members time by bringing it to places where they are going daily. Our current focus is on childcare and senior centers through partnerships with Tiny Tots and Southeast Seattle Senior Center. Organizations such as food banks offer mainly shelf stable options, whereas we focus on fresh food. This also provides the opportunity to talk about seasonality and nutrition. We include recipes that are quick, healthy and easy to make, and are approved by the registered dietician we have on staff. What goals do you have for the program? Like so many community-based organizations, we have limited capacity so we think it’s important to grow sustainably. That being said, we think this is a powerful model and would love to see it grow, or other organizations take it on in their own communities. We recently met with the City of Seattle and they are putting together a toolkit that will make it easy for others to replicate the program. We would also like to expand our infrastructure, including adding more cold storage space. If you’re interested in supporting the growth of this program and the Rainier Beach Urban Farm & Wetlands, please visit our campaign page. We are gaining a lot of insights from the program! We are confident the Good Food Bag program has great potential but we need to refine our model and make it more financially sustainable before we can increase the scale of our operations. Currently, our cost to pack a Good Food Bag is greater than the $5 price point, so external funding and donations are subsidizing the true cost of each bag. Our current industrial food system is also heavily subsidized, but it does not favor fresh produce or earn farmers a fair price for their production, so we need to be creative in making fresh local produce as affordable and accessible to all while making sure the people that grow and pick our food can stay on the land. We are also having conversations about who (beyond the customers) benefits from our work and how we can collaborate for ongoing success. What advice do you have for other non-profits taking on social enterprise projects? Prioritize your strategy and planning! Our program operates all year so it can be a challenge to find the time and resources to work on the bigger picture. Working with a program like HEDI has allowed us to do this important work and we are already seeing how it is changing our conversations about the future. 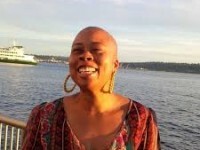 Jean Johnson is a member of the Seattle Impact Investor Group and an investor in the Local Food Fund. She and her husband, Peter Miller, are co-owners of Essential Baking Company, the region’s largest organic commercial baking company. She considers herself a relatively new impact investor and recently sat down with Slow Money NW to talk about what she has learned and her experience as an impact investor and with the Local Food Fund. How long have you been an impact investor? 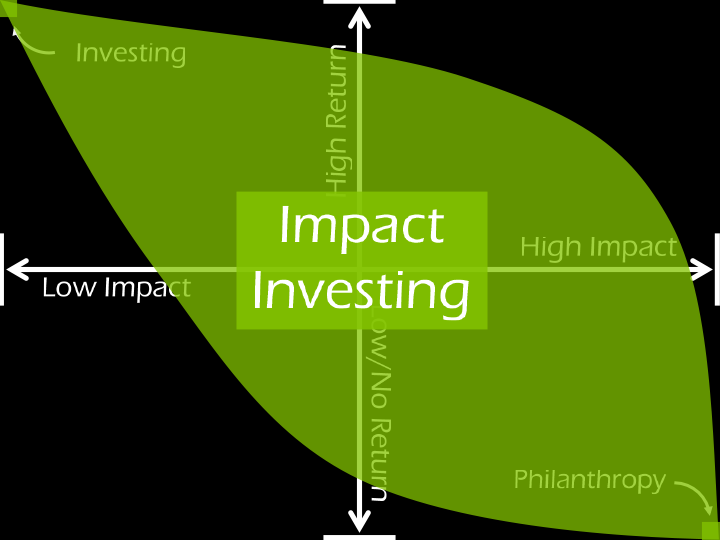 I first heard the term impact investing at a philanthropy workshop in San Francisco in the fall of 2012. It was introduced as a philanthropic tool, a way to blend my philanthropic goals with our investment interests. 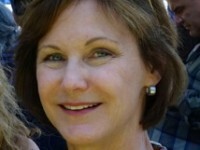 When I returned to Seattle, my husband and I connected with the Seattle Impact Investing Group, which was just forming at the Hub. That said, my husband and I had made several impact investments for years, mostly at the micro scale, but weren’t using that term. We felt driven to move beyond the traditional investment models of giving our money to a big institution’s fund and mostly ignoring it. For example, we made a small loan to Lumana for a tomato cannery in Ghana which was repaid with interest. Why do you make impact investments? Impact investing has allowed me to merge my values with my financial interests. Rather than thinking in terms of creating assets in one part of our lives so that we can give away a certain percentage of those assets through philanthropy, impact investing merges the two. My investments now can be an extension of my values. I also love getting to know the businesses I invest in and imagining how they can change and grow. There is a lot more meaning in that than the paperwork I receive in the mail updating me on my traditional investments. Food is the nexus of a lot of our interests and a way to frame what we were already doing but felt scattered. Taken broadly, food can be an environmental play or a social justice play. Also, as co-owners of Essential Baking Company, organics specifically and food generally have been long-term passions for us. People and organizations are throwing around the phrase “resilient regional food economy.” What does that mean to you? For me, a resilient regional food economy creates space for small and medium growers to make a living while creating distribution channels that allow for food to be delivered throughout the economy, so that everyone in the region has access to that fresh local food. Farmers and the community benefit through increased economic activity, improved health outcomes, and farmland that is saved from development. You mention that you consider yourself a new impact investor. How have you educated yourself to learn more about the space? A lot of reading! The Stanford Social Innovation Review has a number of great articles, including a series by Paul Brest, the former head of the William and Flora Hewlett Foundation. I also recently took an online finance class through Coursera, and plan to look for other courses that will give me the vocabulary and understanding to evaluate prospective investments. I’ve also learned a lot through my participation in Seattle Impact Investing Group, especially through doing due diligence for the Local Food Fund. What did you learn from participating in the Local Food Fund? I learned that it is really hard to say no. There are a lot of great companies out there, creating social change through their businesses, but we couldn’t invest in them all. Working with other members of the fund was a fantastic process. The group had a high level of compatibility and came to decisions easily. There was an unusual openness in seeing all questions as valid, which made it a learning experience for everyone. I also was surprised to learn that business and investment decisions can be creative and interesting. Previously, I had avoided the field, assuming it was uninteresting and dry. Instead, I found much of the decision-making process fascinating and came out of the experience wanting to learn more so that I could make more educated decisions. How has it affected how you’ll approach other deals? Before I participated in the SIIF round, I thought of impact investing as being just a shade removed from philanthropy. My attitude was to view return as almost optional — icing on the cake. I did not pay much attention to due diligence and the potential for return. The SIIF process made me realize that in order for this sector to grow and attract investors, it has to work on both sides of the equation; you can adjust the returns on the financial and impact sides, but both need to be there. Where do you see the industry evolving? Where is there room to grow? There is a huge rush into the field, and a need to sort out what is true impact investment and what is impact investment light. What we really need are new investment vehicles and investment advisors who see them as a viable option. What do you look at when you consider investing in a company? Of course I look at all the same things as making a regular investment, but I also want to see that the company’s mission and values are essential to the company’s operations, not just an added layer. Leadership is also really important. I have to believe in the team that is running the company. Beyond the group investments from the Fund, were you inspired to make additional loans to those who weren’t selected as part of the final 3? Why? Yes, we made additional investments in two businesses and are maintaining contact with several others that we may invest in when the time is right. One of the businesses, Our Table, has a leader who brings his high tech business experience to the field of sustainable agriculture. He spent years looking at the industrial agriculture system and how to disrupt it. The investment is risky, but it has the potential to prove a completely new cooperative structure that connects consumers to their food. What advice do you have for other investors? Don’t overthink it – just start. Just take a small amount and do something because the learning is in the doing. Figure out what you have to invest, talk to other people who are doing it, and find out how you can get involved. Most people follow a century-old paradigm of philanthropy, popularized by Andrew Carnegie back at the turn of the 20th Century. Simply put, maximize the return of investments, and give a portion of those earning to charity. In Carnegie’s case, those investments provided him so much wealth, that despite giving away an equivalent of $5 billion in his two decades as philanthropist, enough of his wealth remained that 100 years later two foundations, the Carnegie Corporation of New York and Carnegie UK Trust are still up and running, with more than $1 billion in endowments. Hundreds of other wealthy entrepreneurs have since followed this same model, with Bill Gates and Warren Buffet being the two biggest philanthropists this decade, promising to give away most of their combined $100+ billion in wealth. The question I and others have starting asking is whether there is another way. Whether it is possible to combined the social good of philanthropy within the act of doing business? And specifically for investors, a question of whether it is possible to do good, while providing a reasonable return on investment. 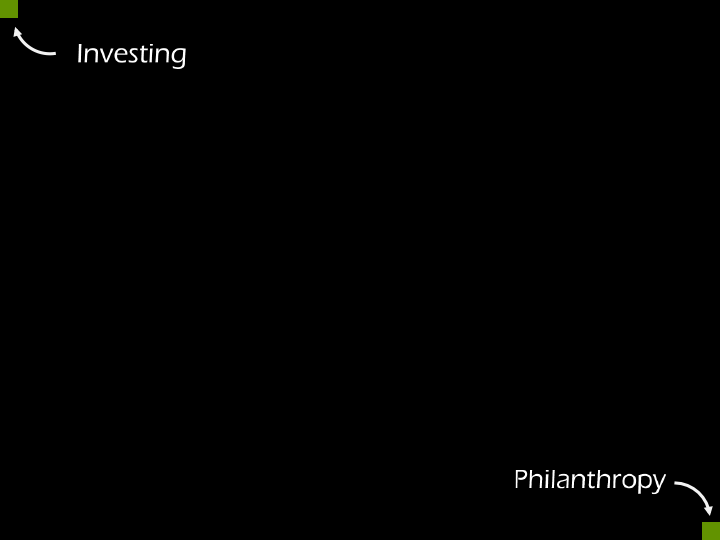 To answer this question, we need to understand how investing and philanthropy are related. 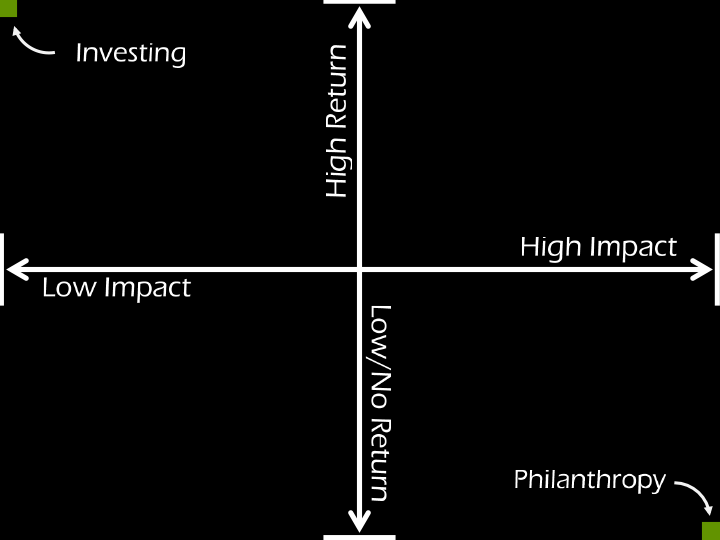 To do this, let’s create a “magic square”, placing investing in one corner, and philanthropy in the other. To connect these concepts we need two common measures . On the vertical axis, we have “return on investment”. For traditional investing, the goal is to maximize the return. For philanthropy, the expectation is that there will be no return (beyond the proverbial PBS tote bag). On the horizontal axis, we have “impact”, as in a positive, measurable, social or environmental impact. 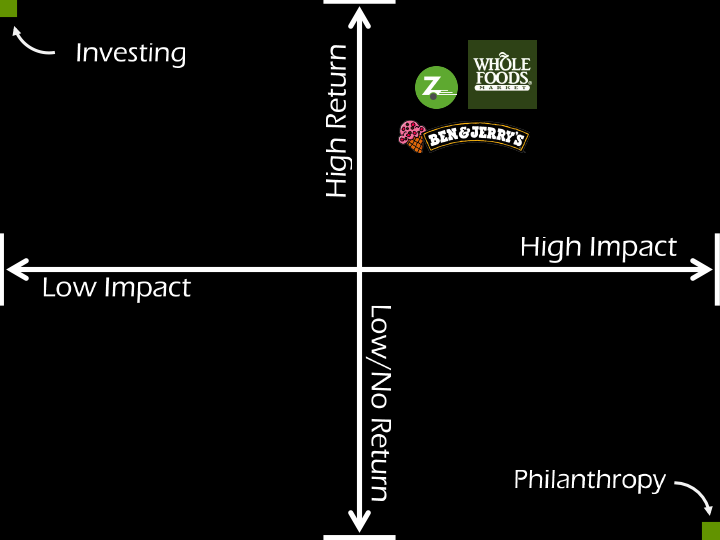 The point of philanthropy is to have an impact, and thus the high impact is on the right, whereas traditional investing does not include a measure of impact. The result is a landscape that explains the differences between the goals of investing and philanthropy, but which still contains a large gap between the two. However, with this landscape, understanding that each axis is a continuum of values, a new important question arises… what does it mean to be a point within all the empty space between the two labeled corners? Let’s look at three investments that fit into that space: Whole Foods, Ben & Jerry’s, and Zipcar. All three are mission-driven companies, aiming for a positive impact as well as profits, hence they fall on the right side of the landscape. All three were good investments for their initial shareholders, with Whole Foods having a successful IPO, Ben & Jerry’s being acquired by Unilever, and Zipcar acquired by Avis. Hence they are at or near the top of the landscape. We can quibble over where specifically these companies should be plotted on the landscape, but given their missions, they certainly deserve to be placed somewhere different than Exxon, Philip Morris, Kraft, Pfizer, Apple, or Google, whose missions are maximizing shareholder value, no differently than Carnegie’s U.S. Steel or Rockefeller’s Standard Oil or Gates’ Microsoft. As the landscape shows, impact investing covers a broad swath of potential investments. It includes socially responsible investing (SRI), divesting your portfolio of tobacco, oil, and other such “harmful” stocks. At the other end of the landscape it includes microlending sites like Kiva.org, where you can lend an entrepreneur $25 or more with no interest, but with your the return of your original capital. And in-between, it includes the top-left quadrant of profit-driven companies that aim to do some good in the world; the bottom-right quadrant of mission-driven companies that aim to run via customer revenues, not philanthropy; and the top-right quadrant which achieve the best of both worlds, doing good in the world while returning a market-rate return. With this landscape, and the investment options therein, new strategies emerge that make no sense when investing and philanthropy are two separate activities. For example, in foundations, where 90% of the funding sits in the safety of S&P 500, Treasuries, etc., 5% is invested speculatively, and only 5% given away to fulfill the mission of the organization, impact investing can be used to empower all 100% of the dollars toward impact. For high-net-worth individuals, the same is true for their “nest egg”, today locked away in mutual funds, hedge funds and a mix of bonds that together aim to “beat the market”, so that the nest egg grows while perhaps 10% of those gains are given away to charity. Instead, all 100% could be focused on impact, mixing SRI for the core investments, with sustainable forestry, green building, community trusts, and other impactful investments mixed in. With this new paradigm of all money having an impact, imagine how much more “good” could be done. “Conscious” businesses, doing good while doing business, side-by-side with philanthropic organizations, doing good where there is no business to be had. The Health Enterprise Development Initiative Launches! The entrepreneurs are meeting today for their second person session and will be learning . Thus far participants have learned about the history of the food system with John Gardner, how to market to retail locations from Tony D’Ofrio, and have received feedback on their pitches from Luni Libes, founder of Fledge. The last in person session will be Tuesday, May 27th and will feature final pitches that will be open to investors. Are you a business hoping to participate in future sessions? Stay tuned for details about future sessions. Posted on April 3, 2014 April 9, 2014 Author Rachel HynesCategories UncategorizedLeave a comment on The Health Enterprise Development Initiative Launches!